Stereogirl play an emotionally charged combination of alt-rock, punk and new wave. The origin of the band is quite humorous and nicely documented in the five-part video series below. 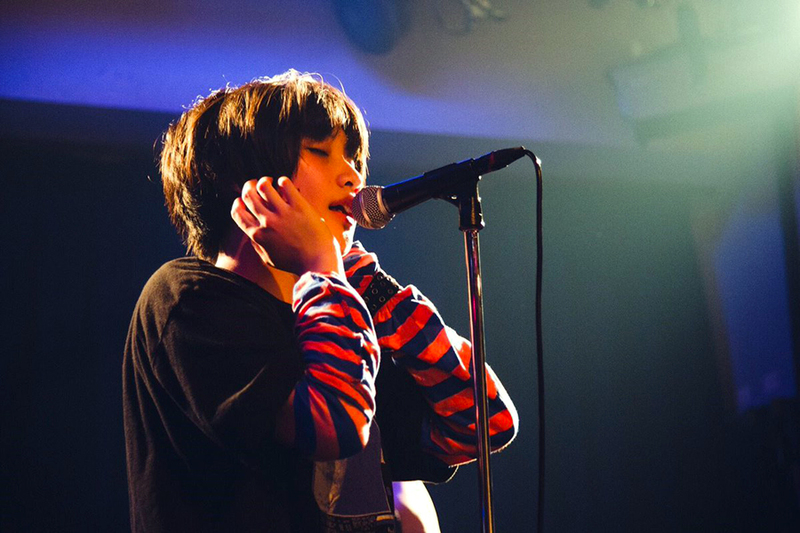 In 2014, high school classmates Anju (vo) and Kanako (gt) decided to form a band and they recruited Yuka, a talented drummer in the school’s music club. However, Yuka would only join if they included her friend Chamicot—a guitarist with a reputation at school as being ultra dorky and lame. Anju was fiercely against Chamicot becoming a member but acquiesced for Yuka’s sake. Chamicot, who was almost excluded from the band is currently the creative force behind all of Stereogirl’s music and lyrics. Stereogirl started as an all-girl band but after high school graduation the original bassist quit and was replaced by Riku, a die-hard fan who frequented their shows. Chamicot is a fan of UK bands such as The Smiths, Oasis, and Stone Roses while Anju’s favorites lean towards the US eg Pavement, Television, Suicide, Velvet Underground. Consequently, Stereogirl’s music and style is a mish-mash of US and UK indie, punk and garage rock with a dash of Japanese emo/shoegaze eg Kinoko Teikoku. The members of Stereogirl are still university students and growing as musicians; however, they already have excellent stage presence and a killer live act that is packed with energy and soul. The songs may sound simple and derivative but at the same time ageless and incredibly catchy. Personally, their first ep ’ベイビー、ぼくらはL.S.D.’ stood out as one of my top 5 releases of 2018 and their new ep ‘NADA’ is already a shoe-in for a favourite of 2019. Stereogirl have developed a decent fanbase through memorable performances at major festivals such as Summersonic and Otodama. In March, they’ll travel to Austin,Texas for SXSW 2019. Stereogirl is a young band that truly loves music and it especially shows when they’re cheering and dancing their hearts out supporting the other bands at their shows. The future for Stereogirl is very bright and they will blitzkrieg NMFT14 with fun, energy and passion in spades.